In late nineteenth-century Cornwall hand-knitting was a vital cottage industry and coastal villages developed their own distinctive patterns and names for the traditional navy blue guernsey or knit-frock. Contract-knitting - the occupation of many Cornish women - had died out by the 1920s and was almost forgotten until Mary Wright started asking old people what they remembered of it. Her research has resulted in a 'remarkable picture of social history’ (Guardian). 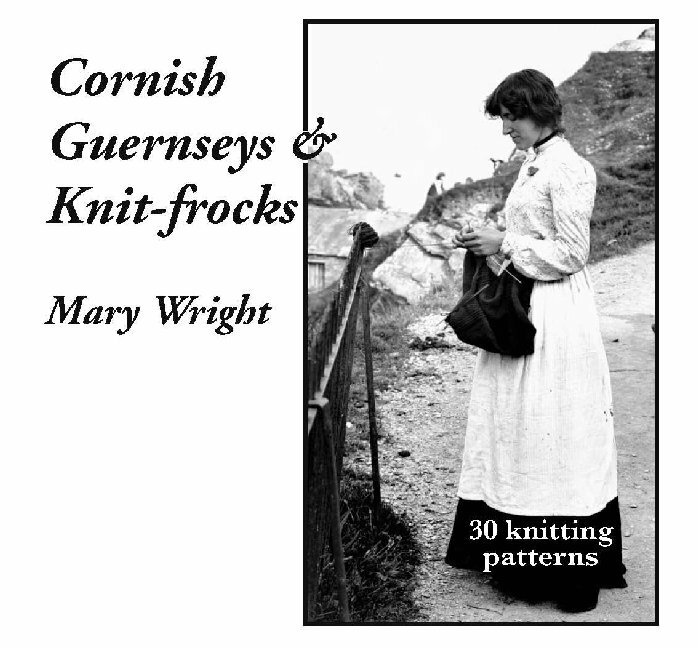 This book includes many delightful contemporary photographs, and detailed instructions and charts show how to knit a Cornish Guernsey incorporating one of thirty local patterns. Mary Wright is a specialist knitting instructor. Her work has been exhibited extensively throughout the United Kingdom and in Japan. Since the publication of Cornish Guernseys and Knit-Frocks she has given many lectures and broadcasts. For hundreds of years the fishermen of the British Isles have gone to the sea wearing Guernsey and Jersey sweaters. Among landlubbers as well, these sweaters are perennially popular, but, especially in this country it is often hard to find practical instructions for the patterns that are traditional in Britain. Here is a book that presents fully 82 different genuine folk patterns for both the lighter weight Jerseys and the heavier Guernseys, and diagrams many more patterns that you can use in your knitting. The author gives the names of the stitches and patterns traditionally used in making Jerseys and Guernseys, and she tells you exactly how to knit every sweater in this book using those patterns and stitches. Here you will find patterns taken from sweaters found in Yorkshire, Norfolk, the west coat of Ireland, the Scottish Hebrides, and the Aran Islands. These are sweaters that have often been handed down from father to son for several generations, they wear so well. Instructions for these sturdy sweaters are given row by row for knitting fronts, backs, sleeves, and necks, in the traditional fashion. Each set of instructions is accompanied by a diagram of the pattern and, often, by a photograph of the finished sweater. All of these sweaters can be worn by either men or women, but the author has also provided full directions for making two sets of sweaters and cardigans expressly adapted for ladies’ wear. Mrs. Thompson also includes interesting information about the people who gave her the patterns for this book. If you knit, this book will help you show off your talents, whether you want to please yourself with sweaters for your own wear, or others with the handsome gifts you can make. 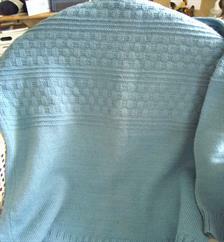 In Knitting Ganseys. Beth Brown-Reinsel teaches you how to design and construct these durable favorites. You'll master special cast-ons, cables and increases, shoulder straps and gussets, and more. 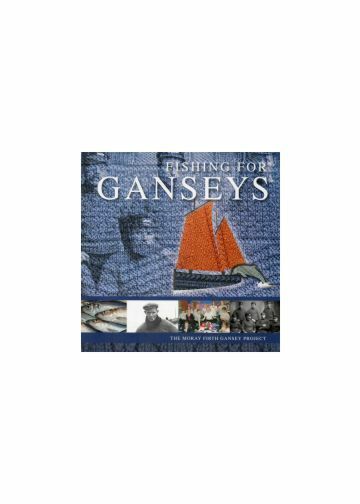 In just a few hours you'll complete a miniature sample gansey, learning all about gansey construction as you go. Then you're ready to knit one of the author's six full-size garments - or to create your own original design. There's plenty of information on sizing, graphing and techniques - as well as blank cartoons and worksheets - to guide you through the process. Knitting Ganseys, designed for knitters of every skill level, provides all you need to know to create modern versions of these old-world classics.